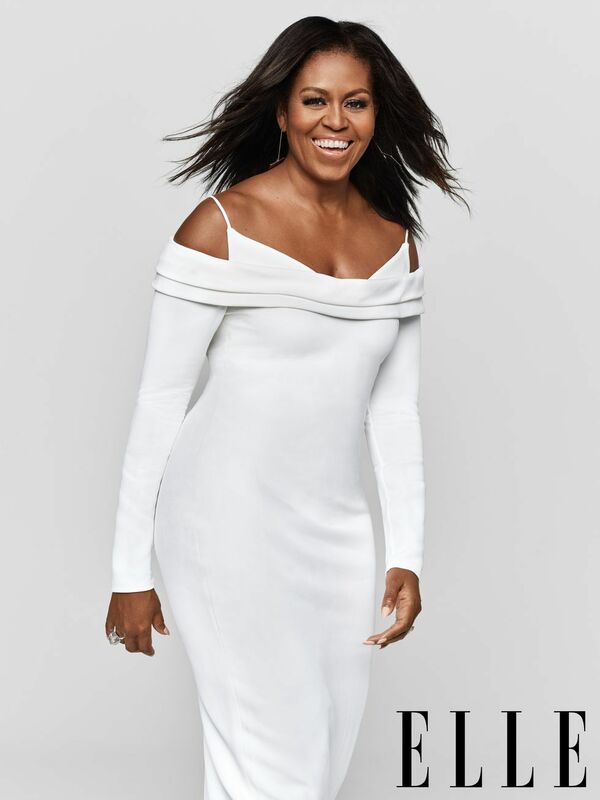 Former First Lady Michelle Obama is styled in Dior, Cushnie, Sally LaPointe, Ann Demeulemeester and more by Meredith Koop for images by Miller Mobley for ELLE US December 2018. As Michelle launches her massive, sold-put book tour around the publication of ‘Becoming’, her buddy Oprah sits down with the beloved American icon for the interview ‘Michelle Obama Is Still Optimistic’. Michelle Obama has been unusually open in her book ‘Becoming’, sharing among many stories the one about her miscarriage and conceiving both Malia and Sasha through IVF. Michelle talks at length about the challenges of the Obama marriage, cemented in the differences that have been overcome with much hard work and a deep love. In dramatic contrast to the image we have of Donald Trump, Michelle shares this vision of a late night, young man Obama — life before stardom.